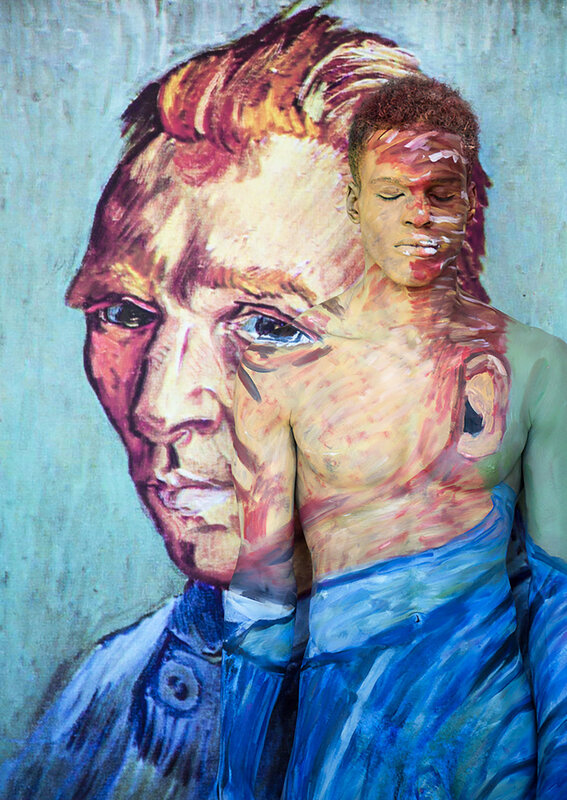 When we featured this work on instagram it practically went viral, and with good reason! 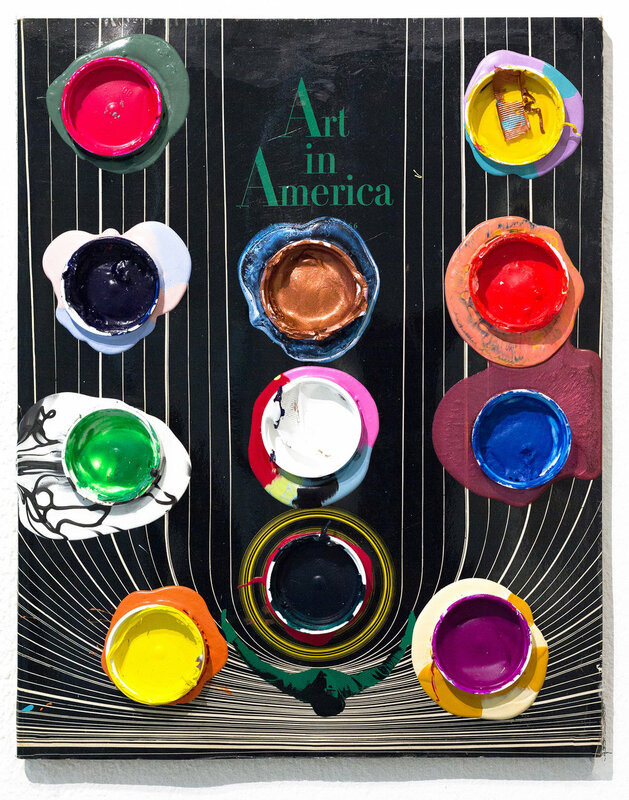 Here's a large, meaningful, and impeccably produced work to jumpstart your collection. Turek’s works aren’t always easy to look at but they’re a powerful statement and in their own way, incredibly beautiful. These are for the bold collector who's not afraid to confront deep-seated social issues. Beautiful, serene suburbia through the lens of one of South Florida’s most talented painters, Carmen's works are always crowd favorites at Superfine! fairs and I'm surprised this one is not gone already. Perhaps my favorite of Trina's works, it takes a double take to realize what's at play here. There's something about the model's serene expression that plays into Vincent's sad eyes. It took me a while to realize what I was seeing here but once I did, I loved it. The effect of playing with the existing magazine cover and incorporating it into an altogether new work is what makes this piece so special - it's art for artists. When you first see this, you think collage, but it's actually a really incredible oil painting blending unique styles and content for a poignant and well-composed final work. I think Kate's work will only strengthen, but this one is already so strong that I think it's perfect and priced very fairly for what it is. Haunting, ghostly, and beautiful - a great addition to all who celebrate contemporary Americana in all its forms. 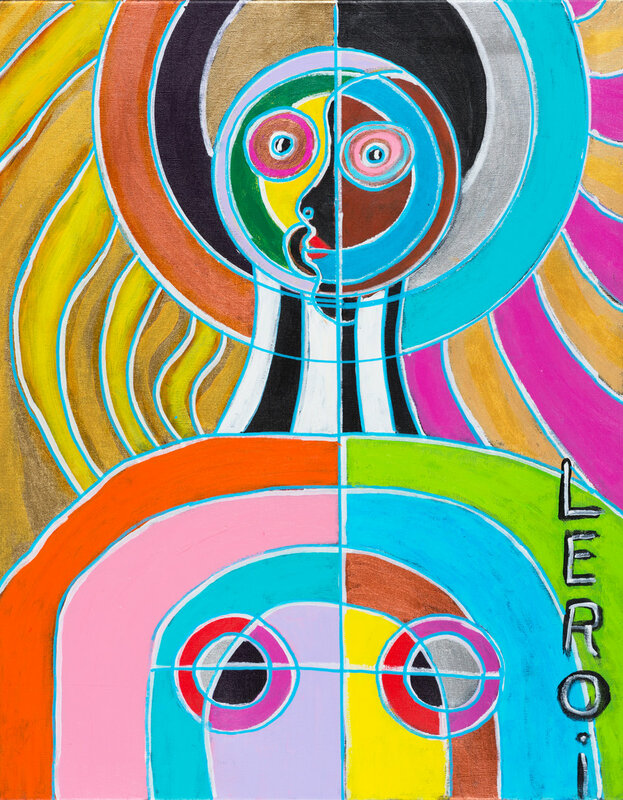 There's a primal energy to LeRoi's work (he calls it "electric primitive") and this is a chance to own a striking piece of his. There's a lot to see and learn about culture from LeRoi's work. The same pastoral beauty of Nicole's larger oils is found here but in a more compact size and price, with the same impact. A great buy for an emerging abstract collector who wants to feel a keen sense of nostalgia every time they look at their wall. 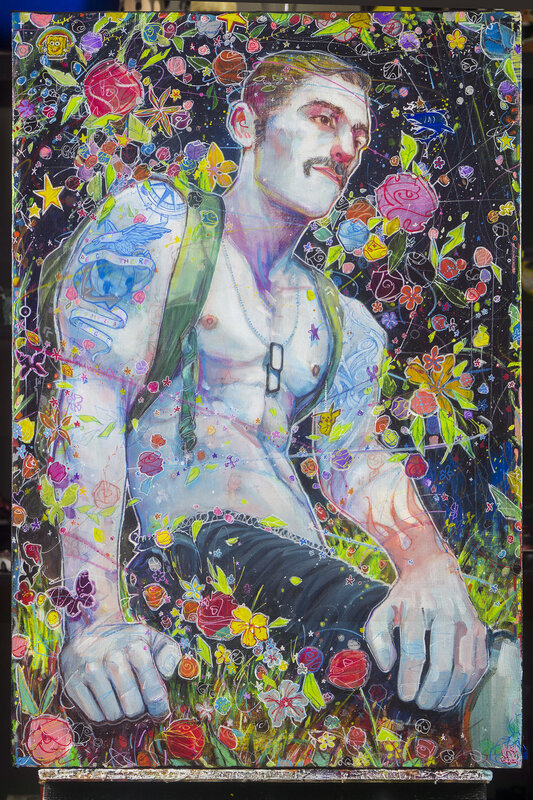 My favorite among favorites from Julius' work in the HUE booth, there's a kind of optimistic melancholy to our stargazer that makes me relate to him on a human level. I think this is a perfect piece. Maybe there's some irony in that the only Warhol interpretation I’m fond of happens to be the back of his head : I love this piece! This is where I want to be every day during the lead up to Superfine! LA next year - Dolly at her finest with SoCal in focus. Steve's works are timeless yet at the same time wholly contemporary, urgent, and evocative. Here's one large enough to make a statement in any room in a home, yet priced very accessibly. 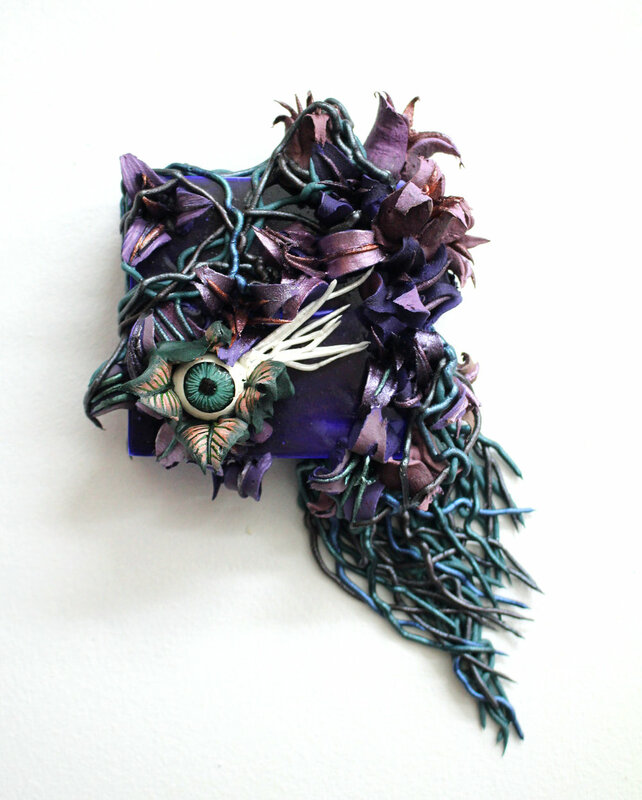 Disclaimer: we have three of Seren's incredible paint sculptures and love them. I would be remiss in not recommending to all of our friends, fans, and fellow collectors that they scoop up one of these immediately and this is definitely one of my favorites. They're like nothing else you'll see. Who said abstract had to be boring? Jessica’s works burst with energy, focus, and are extremely powerful. This is beautiful minimalism at its best with an almost mid-century modern design sensibility, yet so delicately created. I confess: many of Richard's works could qualify as my favorite, but as I soul search I keep coming back to this bovine. Seldom do you see such detailed oils in the hands of such talented artists at this price, and I think it's an excellent piece. When something becomes a trend, like textile art, sometimes it can be difficult to discern what's wheat and what's chuff. This work by Mary is definitely wheat. Note the intricate patterning of their clothes, and the incredible attention to color on the faces (and the figure in the window above.) This is an homage, sure, but it's one of the best out there. Here's black female empowerment in a style you haven't seen it in before. The mirror makes you look back at yourself, it's a very powerful piece and says a lot about you as a collector. What does feminism look like in the digital age? I like to think something like the Yanjun's portraits. Many of the works she's showing at Superfine! NYC are powerful, but this one is striking and well-priced. This painting is quirky, weird, and totally New York. It's everything I want to see in contemporary art and a bold statement piece for any collector. Disorienting and darkly beautiful, perfect for a serious photo collector or anyone wanting to add a bit of mystery to their home. Ken's skill as a painter and composer exist exactly where classic and contemporary meet, and each feels wholly dedicated to the here and now. A truly beautiful oil painting from a talented artist on the rise. Colorful and meditative, Cedrik's works conjure up a forgotten dreamland but at the same time become more and more familiar and at the same time, alien, the more you see them. All the magic of a Samurai movie in a contemporary package, this is an opportunity to own something wholly unique and electric. We love Tomoya's work and these light boxes are a really exciting new way to show it.